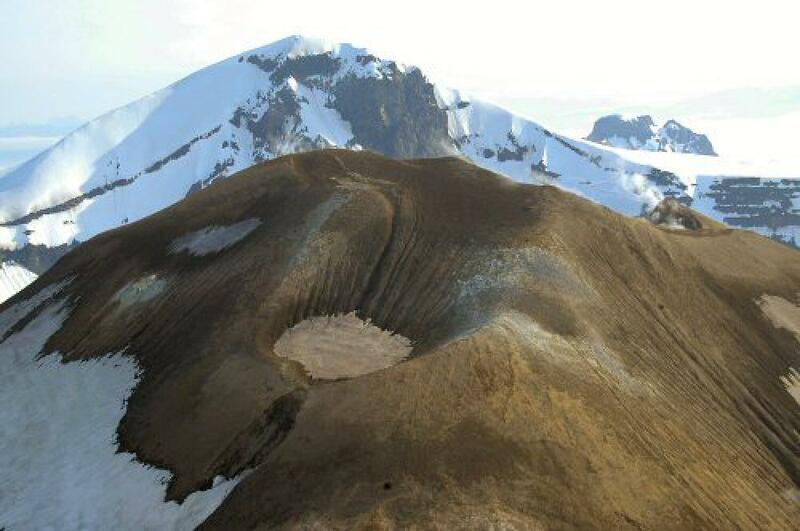 PBO Crews Hit the Mark on Akutan Volcano, Alaska! 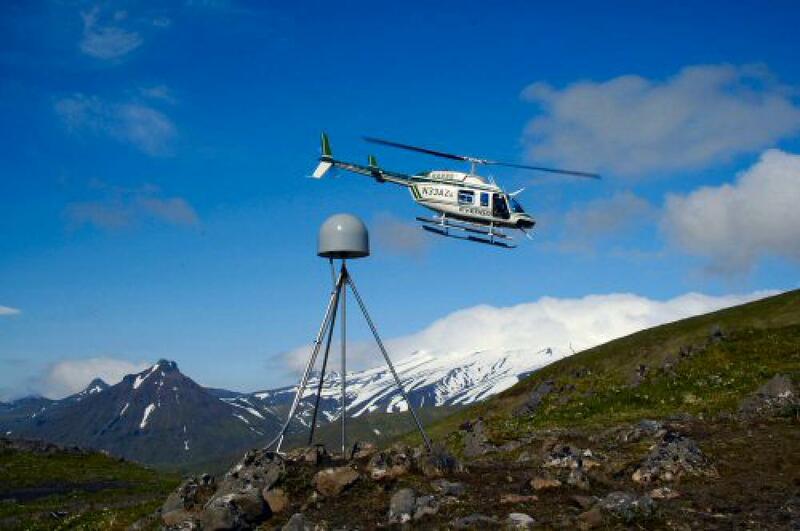 The PBO crews on Akutan have reached their goal of installing eight continuous GPS stations as of July 5th, a full week and 25 hours of helicopter time ahead of the project schedule. The PBO crews have persevered through difficult weather and challenging environment. 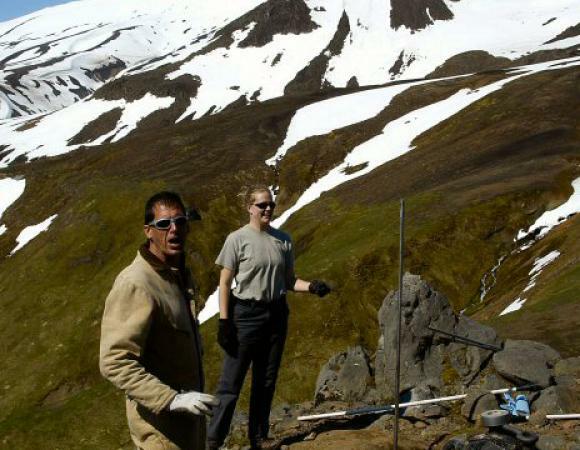 The following are details of the PBO crew member experiences since July 26, 2005 through July 5, 2005 provided by Mike Jackson, PBO Director and leader of the Akutan installations. 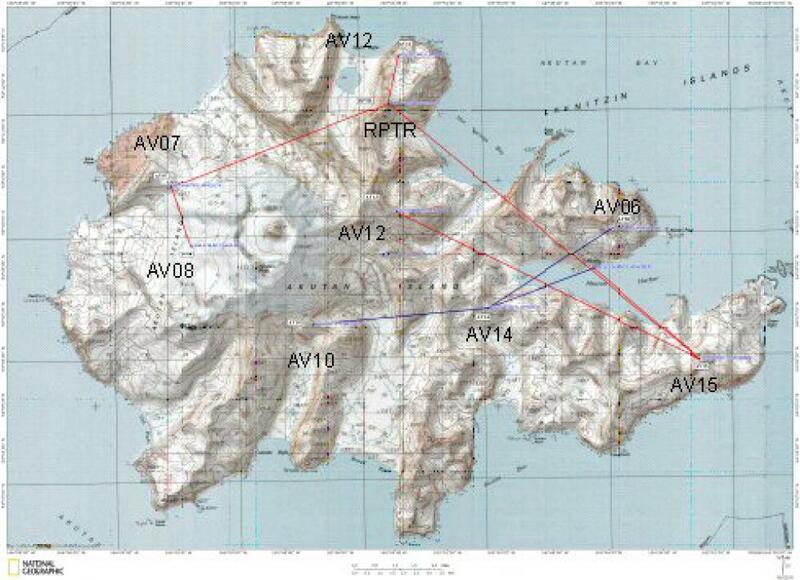 Monday, June 27, the crews awoke to sunny skies and high winds topping at fifty knots, which forced the crews to move AV10 to a new location one kilometer southeast of the original planned location (see the accompanying network map). 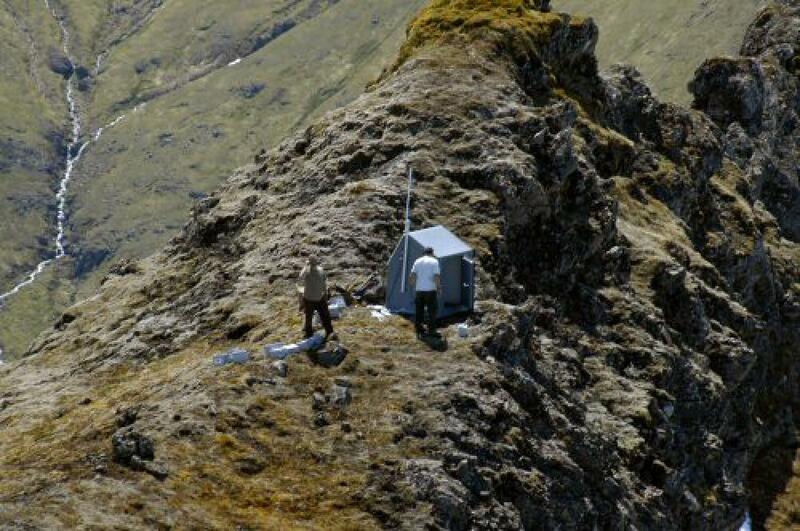 Andre Basset, Tanja Petersen, and Dave Mencin flew to the new location to be ready to receive loads of equipment brought in by helicopter sling, which John Power from the USGS Alaska Volcano Observatory flew to AV10 to install a broadband seismometer station collocated with the GPS station. 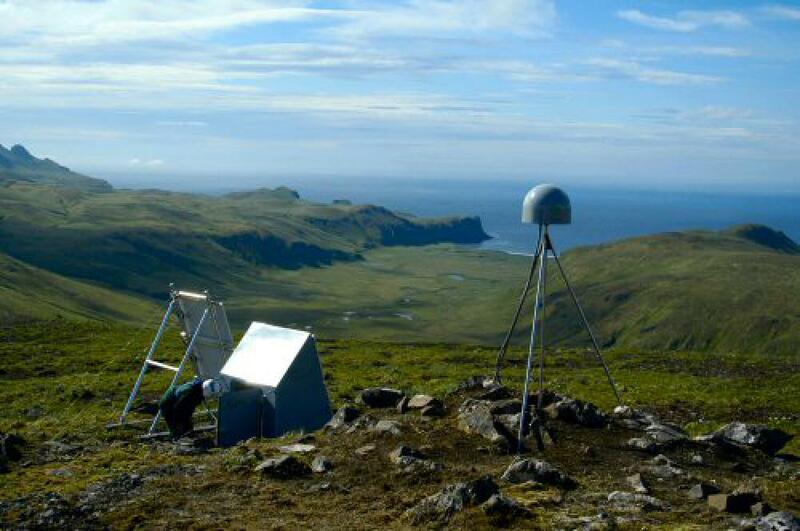 At the same time, Kelly Kore, Mike Jackson, and Zak Hargraves worked on constructing AV13, on the eastern slope of Akutan volcano..
Tuesday, June 28 brought sunny skies and no winds, with cloud layer to 1,500 feet on the southwest side of the island near stations AV07 and AV08. 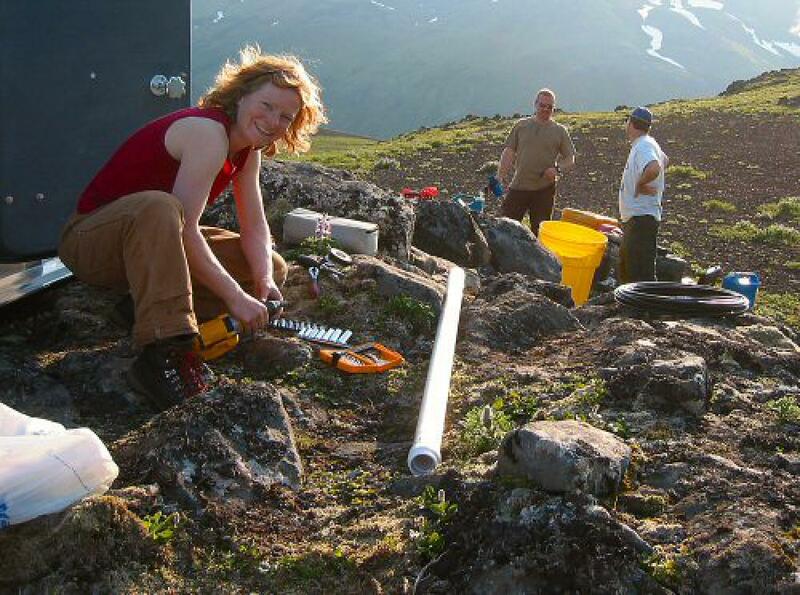 Andre Basset, Tanja Petersen, Dave Mencin, and Power continued construction on AV10, while. Kelly Kore and Zak Hargraves continued construction on AV13. 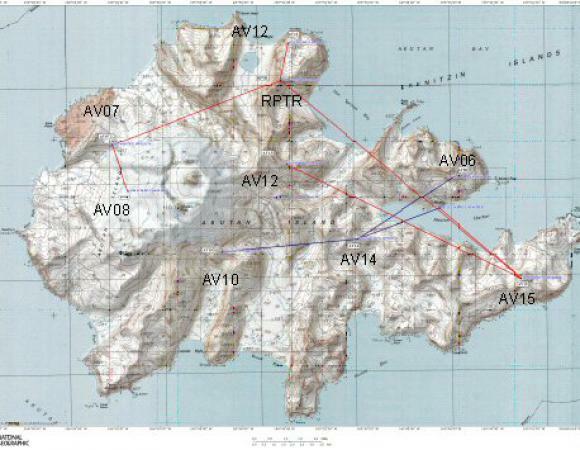 Later in the day, Dave Mencin and John Power flew to the location of the radio network repeater station, just south of Open Bight on the northern side of the island (RPTR on the network map). 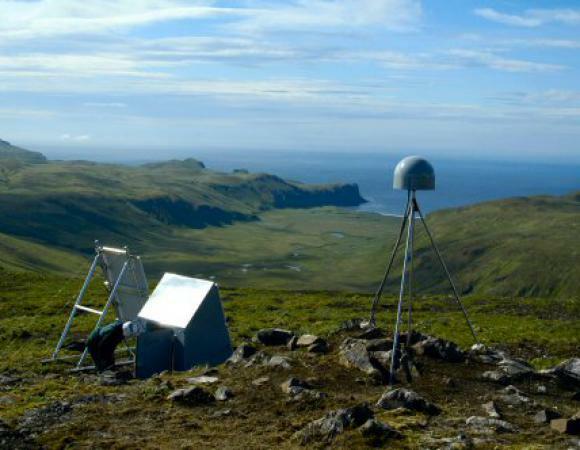 This repeater is necessary to allow data flow from the stations to the west of the volcano (AV07 and AV08) and AV12, none of which can directly “see” the communications hub in Akutan itself. 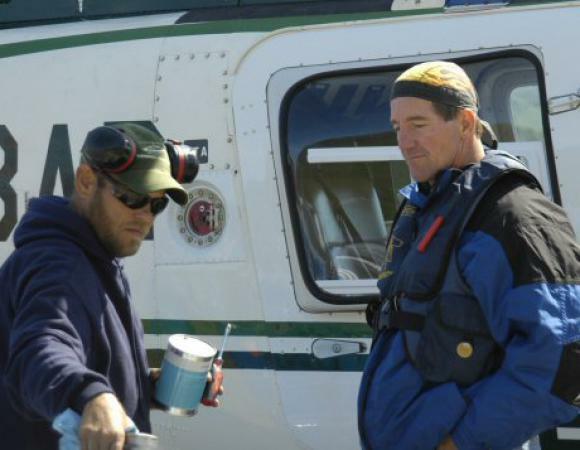 Dave and John received various equipment, including hut, tools, and batteries, via helicopter sling. 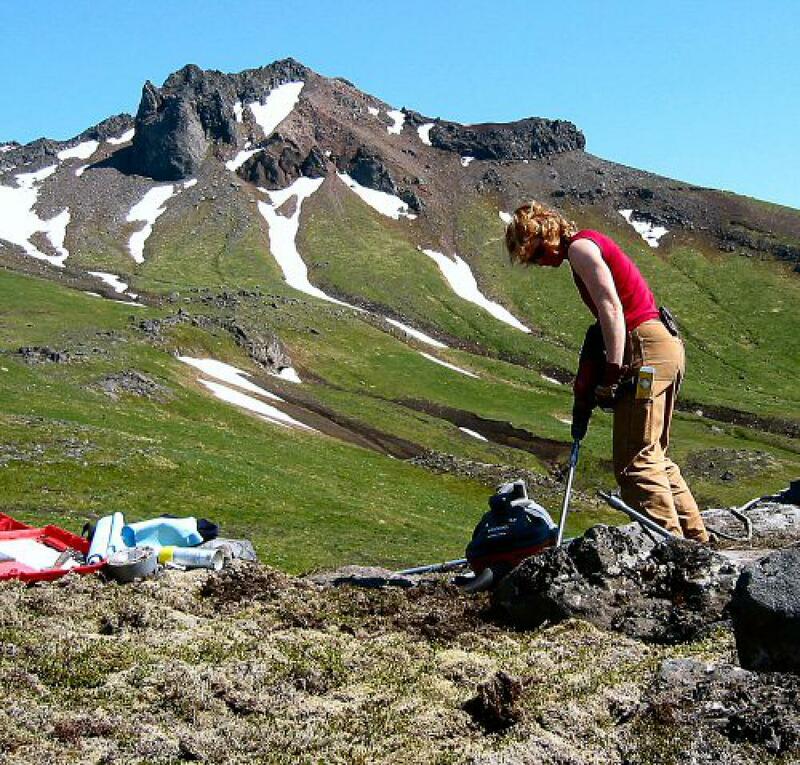 Later, Warren Gallaher flew to AV13 to help Zak and Kelly, while Mike Jackson flew to AV10 to sling tools and sample ash from the cinder cone near that station. 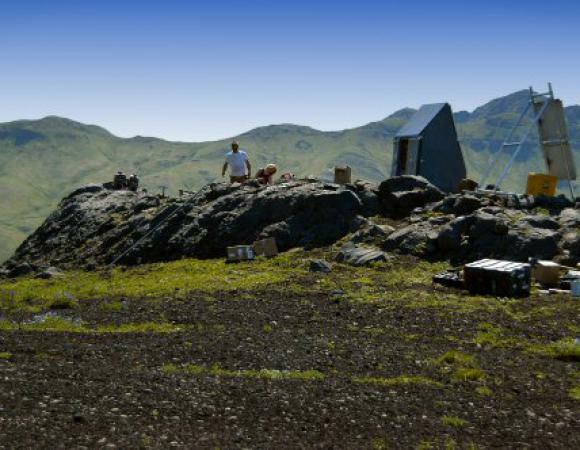 Both AV10 and the repeater station were completed and online by the end of the day, andAV13 was nearing completion. Wednesday, June 29 brought low cloud ceiling that prevented flying until 2:00 p.m. After the weather relented, Zak Hargraves and Kelly Kore completed construction of station AV13. At the same time, Warren Gallaher, Andre Basset, and Tanja Petersen worked on AV12, while MikeJackson worked on AV07. Dave Mencin made some shuttle flights, taking tools from AV13 and delivering them to AV07. In the late afternoon, the cloud ceiling lowered, which prevented slinging equipment to AV08. 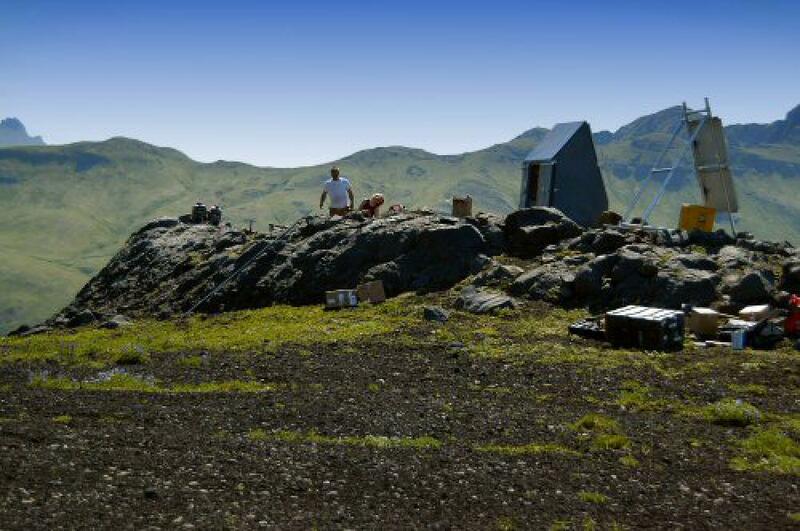 Warren, Andre, and Tanja remained overnight at the AV12 station. 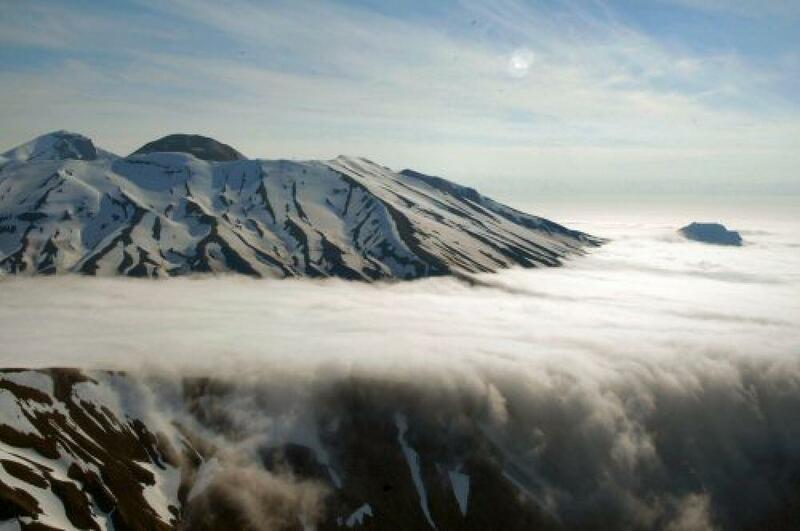 Thursday, June 30, the crews awoke to low cloud ceiling that prevented flying until 1:00 p.m. In yet another innovative use of IP-based communications, the crew at AV12 used instant messaging software to stay in touch with home base and arrange a pickup later in the afternoon. 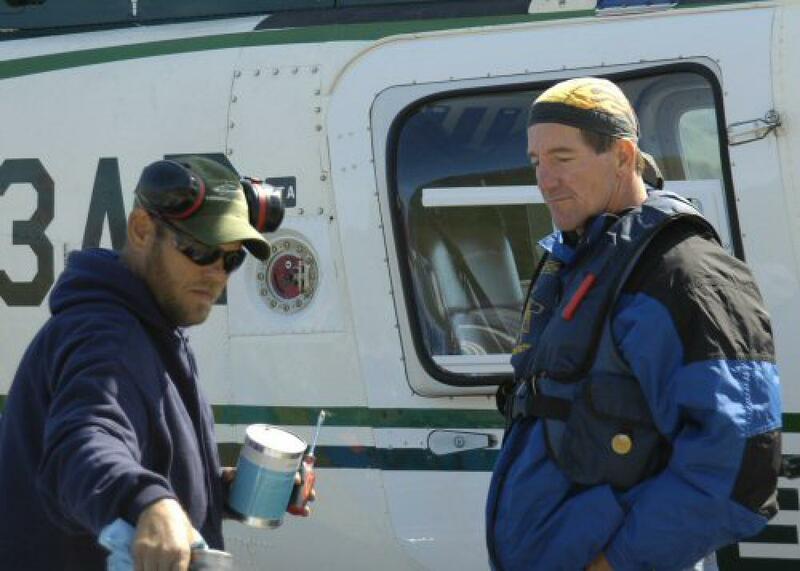 Dave Mencin was part of the pickup crew and flew to AV12 to help load tools and return to base. By the end of the day, six stations were fully online, leaving two weeks in the original schedule to complete two remaining stations. Good news! 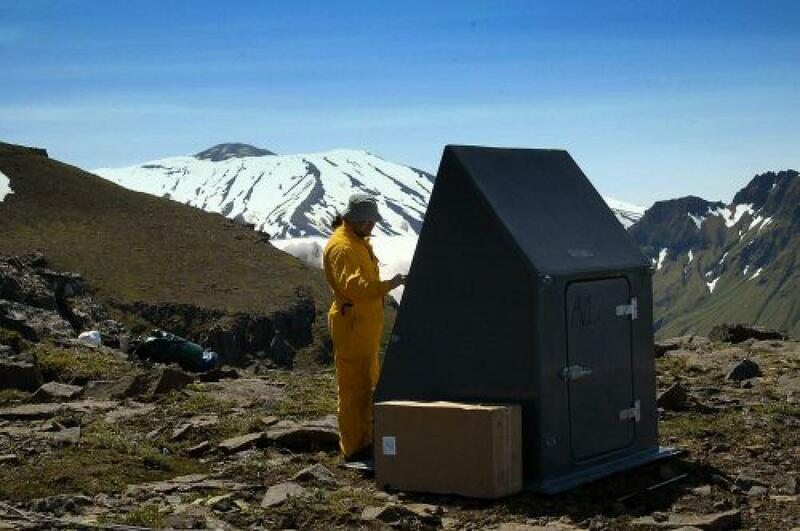 Friday, July 1st through Sunday, July 3rd brought low cloud ceiling, low visibility, and rain, preventing field work. Instead, crew members made plans for finishing construction on AV07 and AV08. 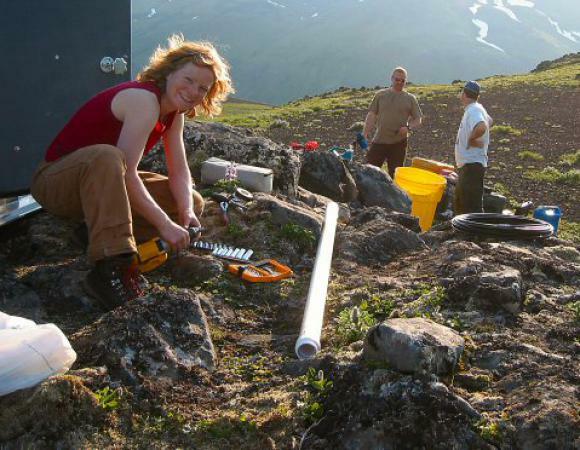 Terry Plank and Kathryn Glover from Boston University and Pete Stelling from the University of Alaska arrived on Akutan on Sunday, July 3rd. 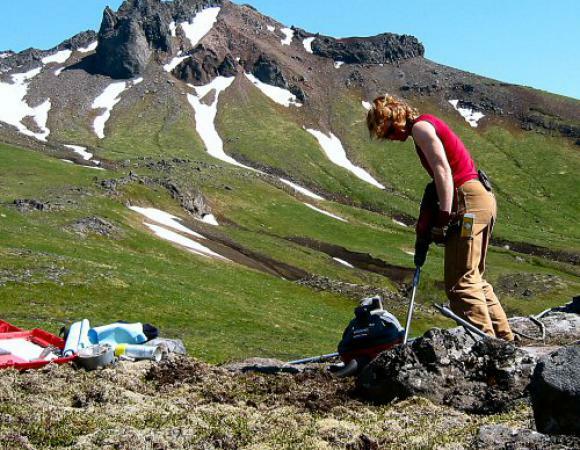 They will be doing geologic mapping and taking samples of the volcano in coordination with PBO and AVO crews. 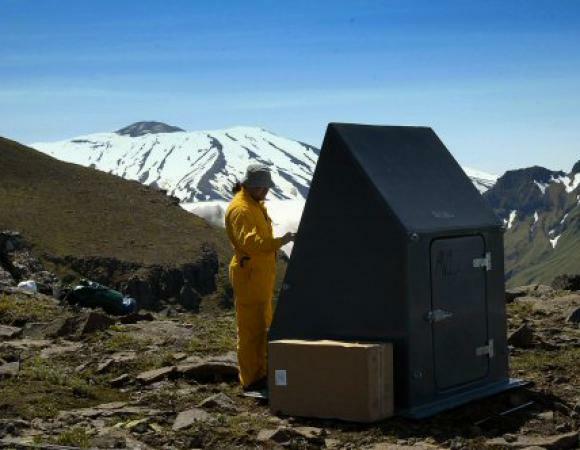 Monday, July 4 brought low ceiling and low visibility, but sufficient weather to allow some field work.Crew members celebrated Independence Day with a heavy workload. 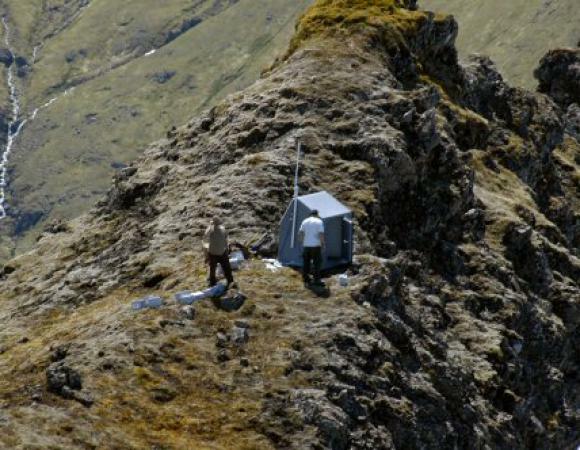 They augmented AV14 with new antenna for relocated AV10, while Mike Jackson assisted John Power with finishing the broadband seismic station located near AV10. 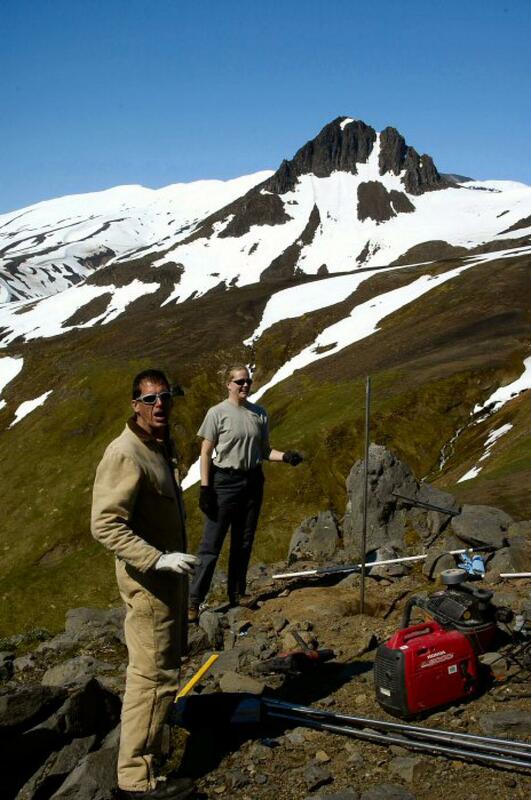 In the meantime, John Plank, Pete Stelling, and Kathryn Grover deployed to Lava Point on the northwest coast to do mapping and sampling work, and Warren Gallaher and Tanja Petersen worked on AV07. Weather prohibited slinging equipment to AV08. 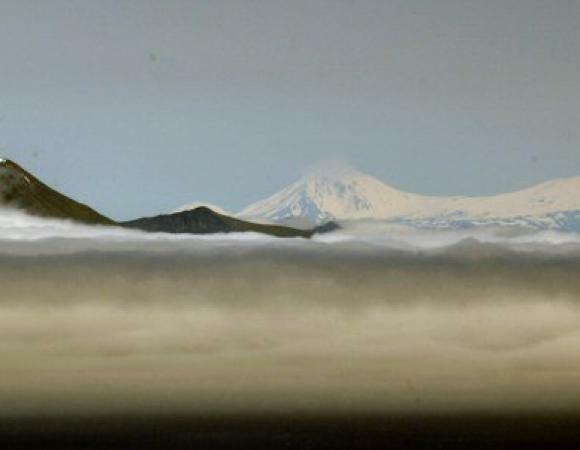 Tuesday, July 5, the weather was good enough, with a cloud ceiling at about 1500 feet elevation on the west side of the volcano, and scattered clouds as low as 500 feet on the eastern side. 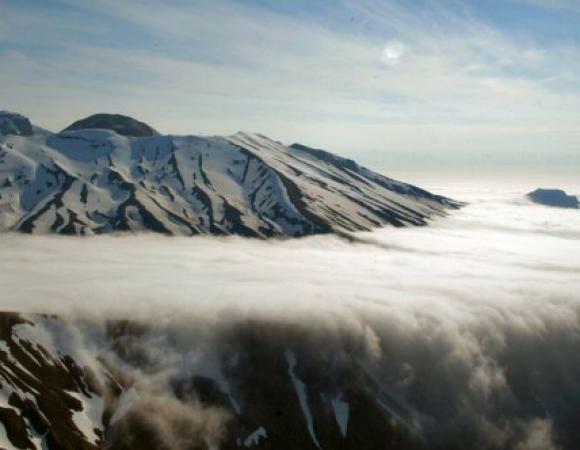 (The Aleutian weather gods like us to take what we can get in their neck of the woods!) Warren Gallaher and Tanja Petersen completed AV07, while AndreBasset, Kelly Kore, Mike Jackson, and Dave Mencin completed installation of AV08. 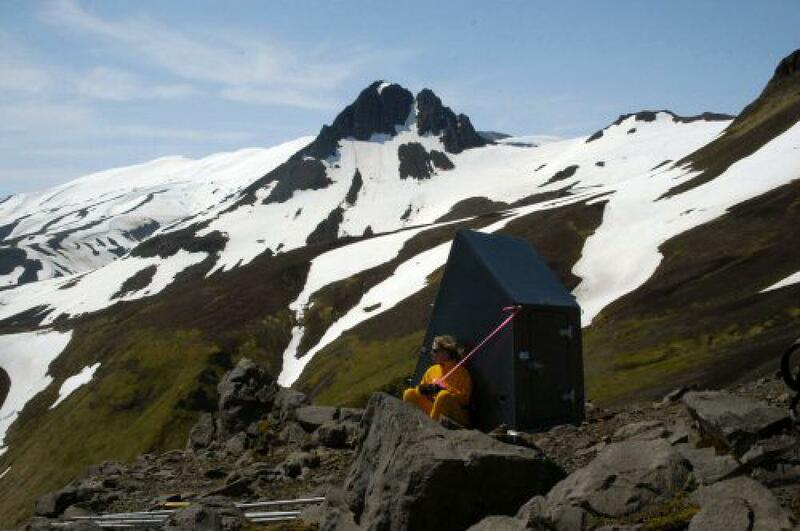 After finishing AV07, Warren completed the master communications hut. 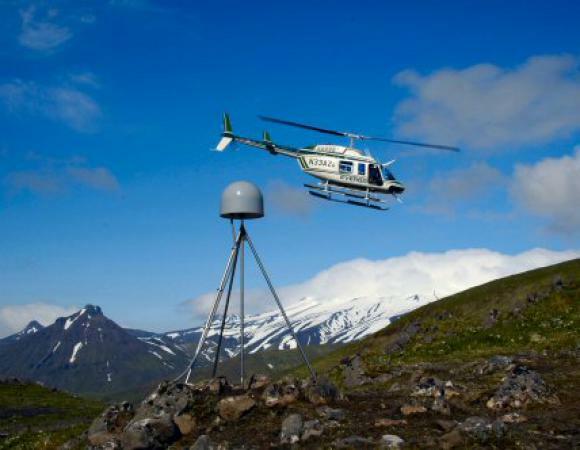 By the end of the day on Tuesday, July 5, all eight Akutan stations had been completed – a full week ahead of schedule and below the original estimate for required helicopter time! 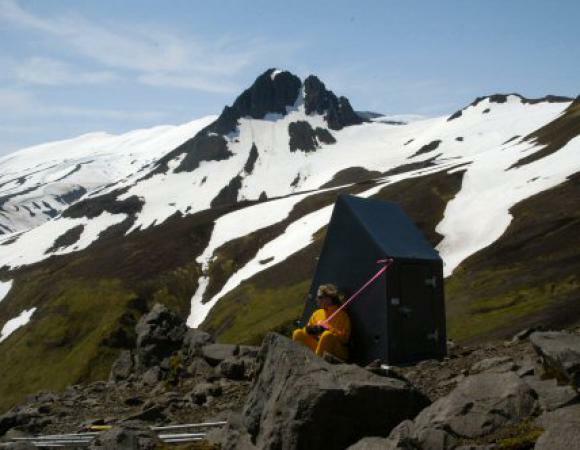 With that work complete, the crew worked to complete the communications systems for transmitting data back to the Boulder Data Center, and began packing equipment for shipment back to Anchorage. 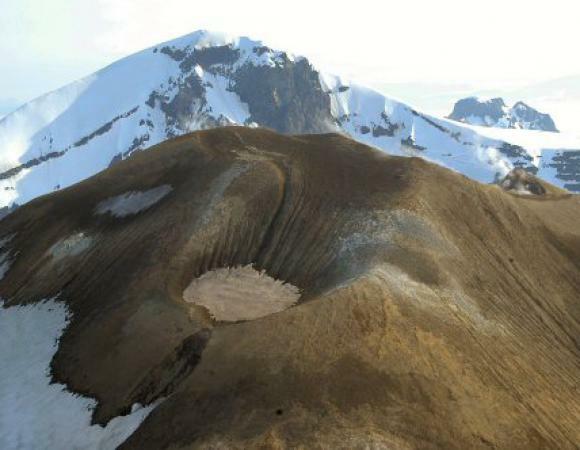 At the same time, a new pilot from Evergreen aviation arrived and PBO began the next phase of work in the Aleutian chain: reconnaissance work on Okmok volcano. Stay tuned for further updates in this ongoing effort!